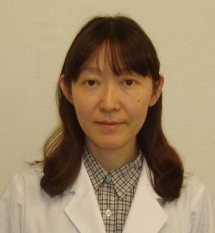 1.Matsuo J, Oku H, Kanbara Y, Kobayashi T, Sugiyama T, Ikeda T. Involvement of NADPH oxidase　and protein kinase C in endothelin-1-induced　superoxide production in retinal microvessels. Exp Eye Res 2009; 89(5): 693-9. 2.Shibayama J, Oku H, Imamura Y, Kajiura S, Sugasawa J, Ikeda T. Bilateral, nearly　simultaneous anterior ischemic optic neuropathy complicated by diabetes and bilateral,　small, crowded optic discs. Jpn J Ophthalmol 2005; 49(3): 235-238. 3.Kida T, Oku H, Horie T, Matsuo J, Kobayashi T, Fukumoto M, Ikeda T.　NADPH Oxidase-Mediated ROS Production Determines Insulin’s Action on the Retinal　Microvasculature. Invest Ophthalmol Vis Sci 2015; 56(11): 6754-61. 4.Oku H, Matsuo J, Etomi T, Okuno T, Fukuhara M, Sugasawa J, Ikeda T.　Acute Infarction at the opto-chiasmal junction detected by diffusion weighted　magnetic resonance imaging. Neuro-Ophthalmology 2009; 33(5): 257-60. 5.Miki M, Miyamoto M, Mitsutsuji T, Watanabe H, Shimizu K, Matsuo J, Tonari M, Kida　T, Sugasawa J, Ikeda T.　A case of a newborn with agenesis of the corpus callosum　complicated with ocular albinism. Case Rep Ophthalmol 2016; 10:7(1):268-73.